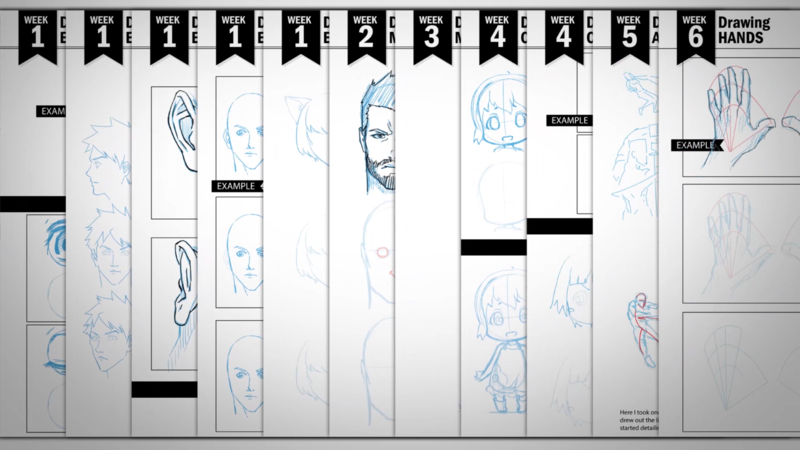 Want to learn to draw Manga & Anime? 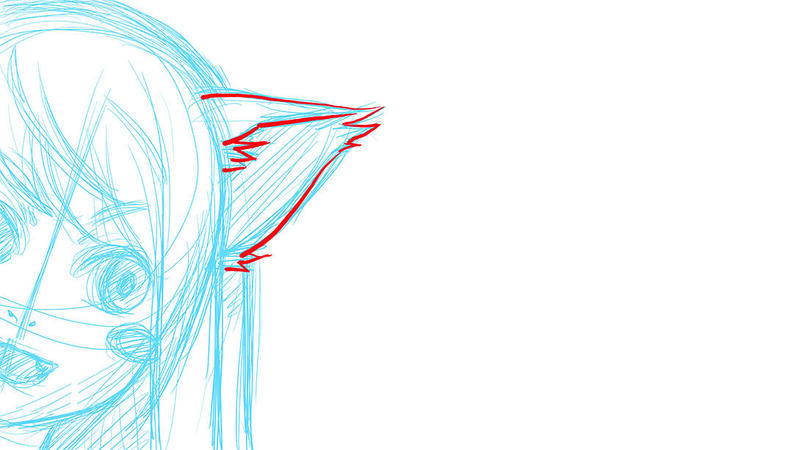 Being able to draw is such a special thing. The ability to translate your ideas, stories and characters into reality and onto a piece of paper is very unique. "Printable Sheets You Can Trace Over"
It is, however, not filled with tiresome fluff and padded lessons. We distil each element into bite-sized lessons that you can immediately start working on. Each lesson has a worksheet that you can use to practice the lessons. These worksheets are unique in that we've made things super easy for you. 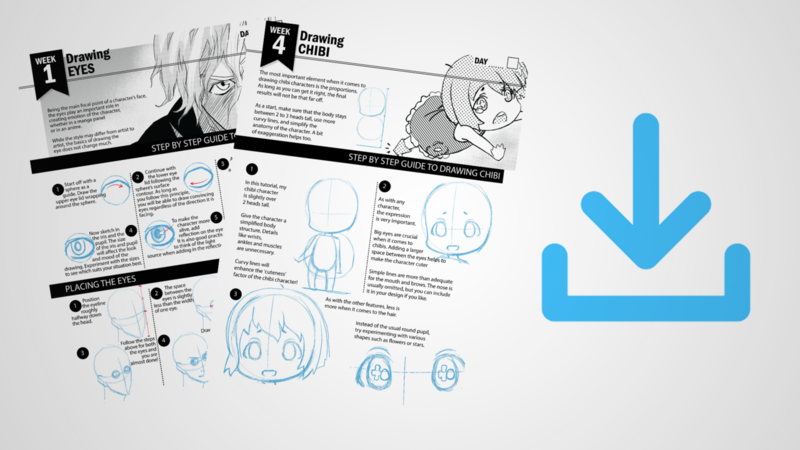 Simply print out the example pages and trace over the guidelines to get started. You'll be able to start instantly without feeling stuck or not know how to proceed. 82 Pages of tutorials and examples. 26 lessons to get started with. No fluff just pure content, tips, and techniques. Downloadable PDF with all the examples and text to guide you through the lessons. Printable worksheets you can use to aid you in your lessons. Unique traceable worksheets that you can use as guides initially as you ease into learning and improve your skills. 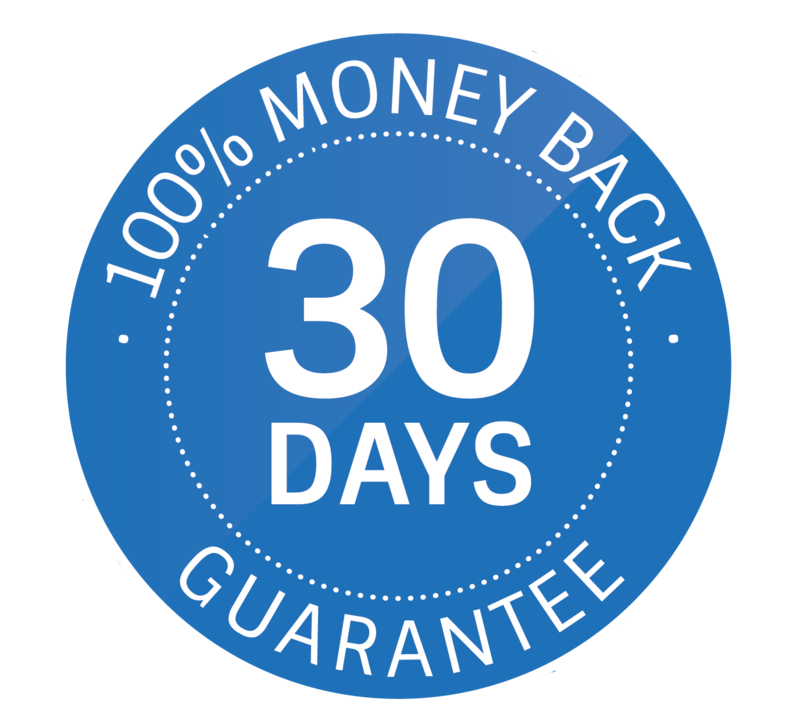 30 DAY - 100% MONEY BACK GUARANTEE. For any reason. No questions asked. PS. This course is covered by our 30 Day 100% Money Back Guarantee. If for any reason you wish a refund just email us and you'll get an immediate refund. No questions asked. Easy to follow tutorials with downloadable and printable workbook and worksheets. 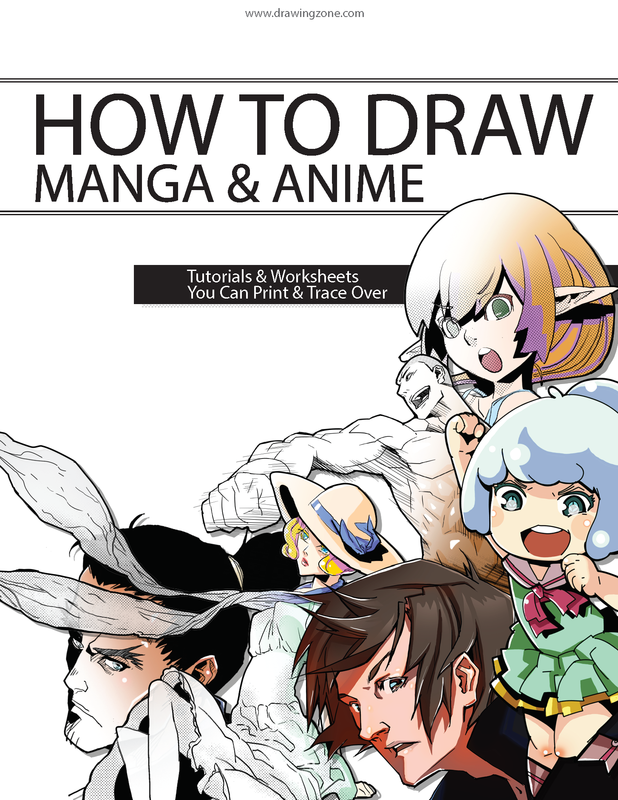 Trace over guidelines and get started drawing manga and anime.